Profiles > Shawn Ryan - eGuiders. We Search. You Watch. The Shaman has arrived in the city of angels and he needs a place to crash. Raised by the Hopi Indians of Greenwich, Connecticut, he is here in search of his shaman partner. Wounded cow on unholy land, this series is a gem! Easy To Assemble is a new web-series starring Illeana Douglas, Jeff Goldblum, Tom Arnold, Jane Lynch, Justine Bateman, Ed Begley Jr., Craig Bierko, Kevin Pollack and others. 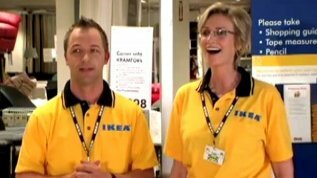 Each week, watch Illeana as she struggles to abandon Hollywood and keep her new 'real' job at IKEA. The past isn't so easy to leave behind...and Hollywood has a few surprises in store for her.